Work on the 10th edition of the International Classification of Diseases (ICD) began in 1983 and reached completion in 1992. While rest of the world was still soaking this transition, along came another revision from World Health Organization (WHO) which was originally slated for 2017, but later pushed to 2018. The new update is an extension of the existing ICD-10. It covers integrated medical data after 1992. ICD-11 is all about providing an interactive web platform, search engine support, and optimized updates to physicians on a regular basis. It also comes with multilingual support along with Electronic Health Record (EHR). ICD-11 is set to become the latest benchmark from WHO for its global members to map health conditions, diagnose epidemiology, and aid clinical research. The revised version will be scalable to prevent a need for another code system. What is ICD-11? How does ICD-11 look like? These are the questions that are still somewhat a mystery to many. Which is why we have for you, a comprehensive overview of ICD-11 codes and the system as a whole. World Health Organization is revising ICD-11, an upgraded version of ICD-10. The entire development is progressing on a platform called iCAT (Collaborative Authoring Tool) - a smart Internet-based workspace. The final draft was planned for endorsement at World Health Assembly (WHA) in 2017 but was later extended by a year. ICD-11 codes represent definitions for newly diagnosed diseases, abnormal findings, causes of external injury, peculiar symptoms, and much more. 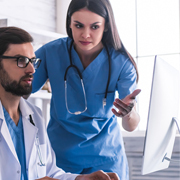 In a nutshell, ICD-11 codes are part of the healthcare classification system which enables reporting and monitoring diseases for evidence-based decision making. It will have some features that are found in the SNOMED-CT code set which is formed using "description logic" - derived from Artificial Intelligence. ICD-10 took close to two decades until its full-scale implementation. However, development of ICD-11 is anticipated to happen slightly faster than its precursor thanks to computerization. Before the widespread adoption of the International Classification of Diseases 11, it must be customized according to the US healthcare markets. Also, before the global implementation, it is essential for ICD-11 to be part of HIPPA regulations after obtaining the approval of stakeholders. This is where ICD-10 took close to 8 years, totaling to about two decades before full realization. What is the Composition of ICD-11? ICD-11 is designed to integrate with clinical information systems for optimizing patient care, clinical research, and population health. This will enable electronic healthcare applications to completely harness its features. Although several features of ICD-10 are likely to be retained, ICD-11 will have more features from SNOMED-CT - a collection of medical terms used in encoding and reporting clinical data for enhanced delivery of patient care. In the coding aspect, ICD-11 clinical descriptions contain 26 chapters with code strings including the 4 new chapters - sleep-wake disorder, extension codes, traditional medicine, and sexual health. ICD-11 will succeed in dealing with several limitations of SNOMED-CT through "linearization". It can remove layers of hierarchy and help the healthcare professionals to rapidly make decisions based on reports. What Can Coders Expect from ICD-11? Medical coding has seen the biggest of reforms since the 80's. Back in the era, coding was essential for medical reimbursement of outpatient surgery. However, coding came into prominence after it became evident that it could be used for many purposes such as measuring Risk of Mortality (ROM), Clinical Documentation Improvement (CDI), Severity of Illness (SOI), and Computerized Assisted Coding applications (CAC). Hence, WHO released an ICD-11 beta draft, inviting experts from around the world to provide inputs for an ICD-11 development process that would ease the task of coders using the latest guide. Unlike the legacy ICT, implementation of ICD-11 in the US can come with challenges. Users must possess knowledge of SNOMED-CT and ICT-10 before moving onto ICT-11. Although ICT-11 was planned for 2018, it could take a bit longer before it sees the light of day. Experts hint that it could be another 7-10 years before ICT-11 comes into full effect in the US because the system will be subjected to multi-tier tests to ensure they are functional in a variety of operational settings. Moreover, due to the intricate regulatory process followed by the US, ICT-10 will continue to actively support healthcare and medical research long after the implementation of ICT-11. According to the Centers for Medicare and Medicaid Services (CMS), a US-based organization responsible for implementation of ICD system, ICD-10 will become the base for ICT-11 despite the latter being a complex coding system. That said, the industry will have caught up with the system's inner working by the time ICT-11 is launched, thus making the transition smoother. Outsource2india carries rich experience in medical billing and coding services for close to two decades, during which we have sharpened our practices, absorbed new technologies, and tackled varying challenges. Our efforts have resulted in many chapters of success for clients whose loyalty we have enjoyed in return. Our cost-effective coding services are aimed to cut back operational expenses by a huge margin. From following up on pending medical claims, to tracking receivable balances, getting reasons for denied claims, or initiating collections we have it covered for you through our top-quality healthcare BPO services. So, say goodbye to worries about no staff turnover, training new employees, low accuracy, and much more. Connect with us to start a journey that will lead to better ROI for your business in the long run.